A fascinating piece of history has come to light thanks to an Irish Times reader who forwarded a copy of a unique document to Frank McNally after his article on the Mother Jones festival in the newspaper last week which referred to the story of Alderman Tadhg Barry who was shot dead at Ballykinlar Internment Camp, County Down in November 1921. 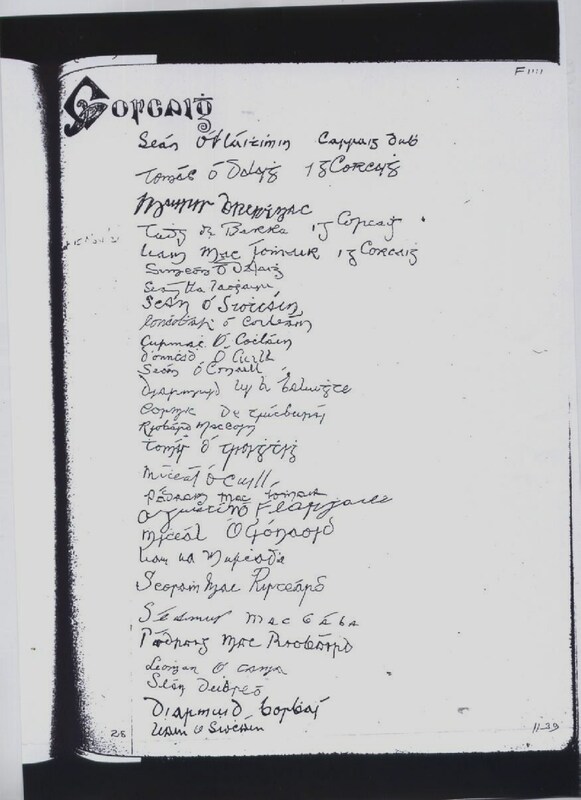 Owen Smyth from Monaghan forwarded the following document which has never before been published. 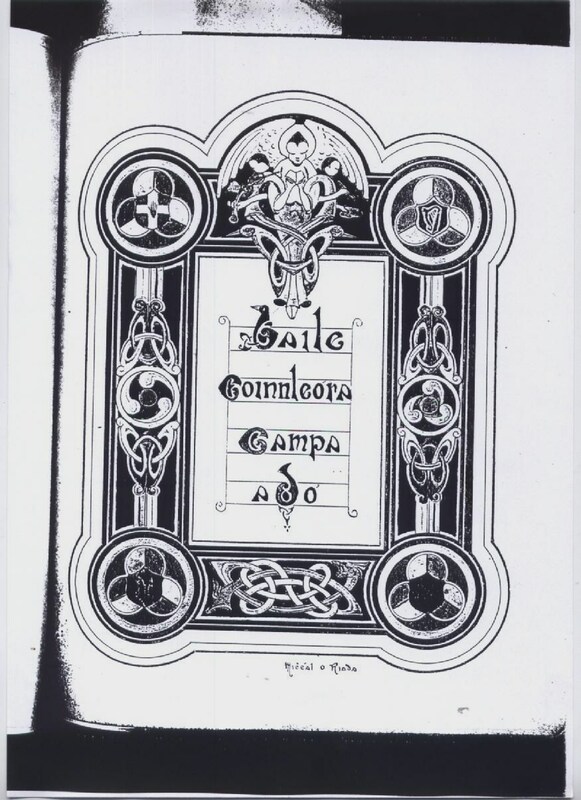 It is a letter in the Irish language in which a presentation and note of thanks is made to the camp chaplain at Ballykinlar (Fr. Sean McLeister). 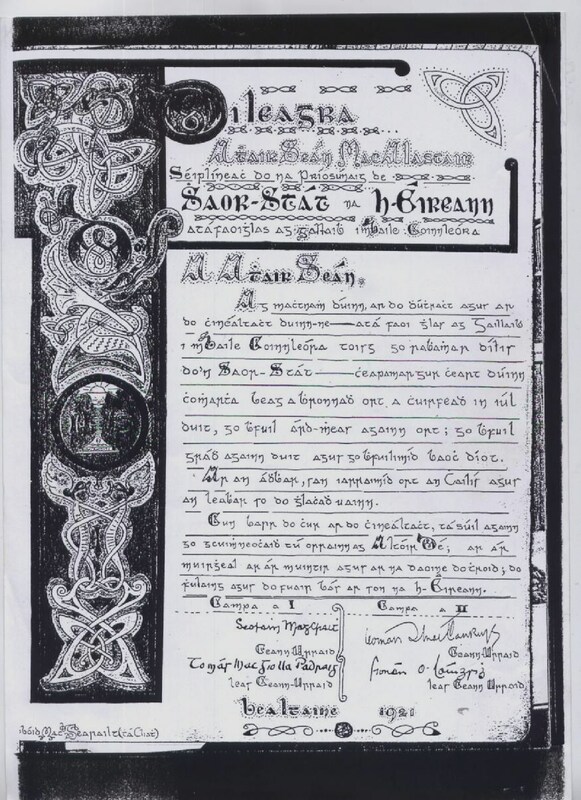 Hand drawn and written in old Gaelic you will find the signature of Tadhg Barry (Tadhg de Barra) on the sheet, fourth from the top. Our sincere thanks to Owen for sharing this and to Frank McNally for forwarding to us. The documentary and discussion on Tadhg Barry will be held at the Firkin Crane theatre, Shandon, Cork on Wednesday, 31st July at 12.00 Noon as part of the Spirit of Mother Jones Festival. All welcome and admission is free.